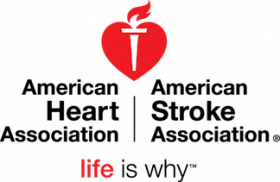 The American Heart Association (AHA) has an excellent opportunity for a Temporary Cyber Customer Service Rep in our Austin office. This position will support our hard working Youth Market team working heavily on-line. This is a temporary position is expected to last for approximately 4-6 weeks (end date subject to change). Creating, maintain reports using Excel. V-Look-up and pivot table experience a must. Maintain and support of internal email campaigns. Including timeline management, query management and overall execution. Enter data into appropriate system examples but not limited to Luminate, Dynamics and internal excel documents. Participate in ensuring excellent data quality and the integrity of the database ensuring an accuracy level of 95% or more. Enter all types of customer data in a timely and accurate manner and in accordance with data entry standards. Provide event, database, and customer support. High school diploma or GED equivalent required; BA Marketing or Communications preferred. Must have intermediate to expert knowledge and skill with Microsoft Office 2010 used for word processing, email, presentations, and spreadsheets. These skills are subject to testing. Ability to manage projects from start to finish, including managing multiple tasks concurrently, determine top priorities, problem solve trouble areas, and meet all project and task deadlines. Must be willing to learn new systems and have attention to detail. Knowledge of standard office procedures, telephone etiquette, record keeping, filing, data entry formats for computerized record keeping, purchasing procedures and systems, as well as postal rules and regulations. Skill in providing excellent customer service, effective oral communications with both internal and external customers, including conversing by telephone; effective written communications, including business writing, clear and concise narrative reports and evaluations; skill in PC and computer equipment including word processing, accounting, data base management, spreadsheets and software applications, HTML/Website maintenance. Web applications and Siebel a plus. Ability to work and interact with professional and lay volunteers, staff and public with sufficient maturity, judgment, initiative, confidence and poise; to participate in meetings, work in a team environment; to conceptualize, reason through problems, make effective decisions and develop alternative solutions; to operate typical office equipment, i.e., copier, printer, fax, telephone, postage machine, postage scale, etc. ; to lift and transport meeting materials and other supplies to and from meetings; willingness to work irregular hours and attend meetings beyond the framework of the normal working schedule; travel as necessary. 1-3 years related experience. Background in event management and planning.